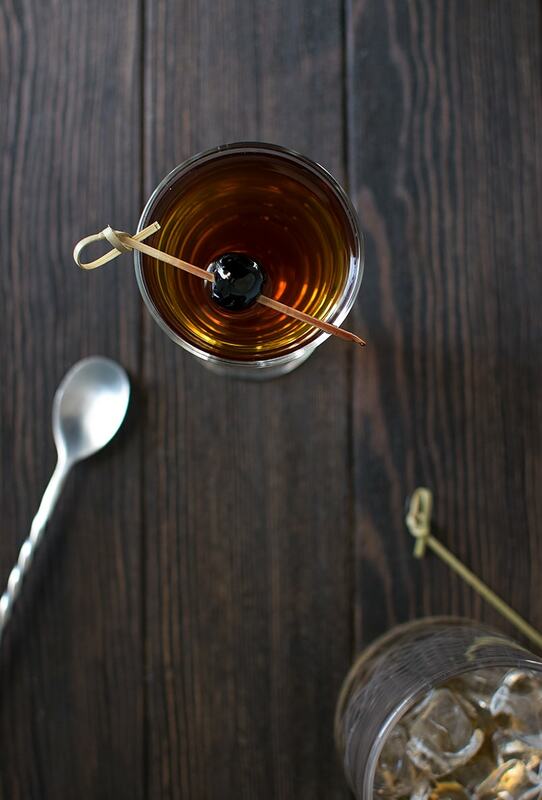 The Manhattan drink—perfectly constructed with bourbon, vermouth, and bitters. Now I’m not trying to confuse the world or freak everyone out, but I’m posting another Manhattan cocktail recipe. I guess you know I’m obsessed when I cover one drink three times. 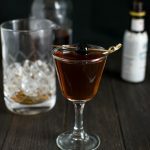 Not to be confused with the perfect Manhattan (the same drink, but uses both sweet and dry vermouth), the classic Manhattan cocktail only uses sweet vermouth. 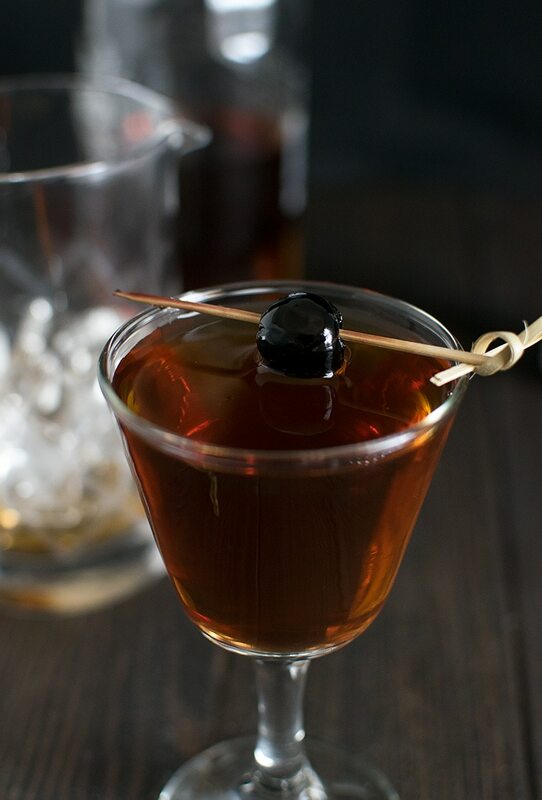 So although I think all Manhattans are the “perfect” drink for any occasion… the original/classic Manhattan only contains sweet vermouth, bitters, and rye whiskey or bourbon. 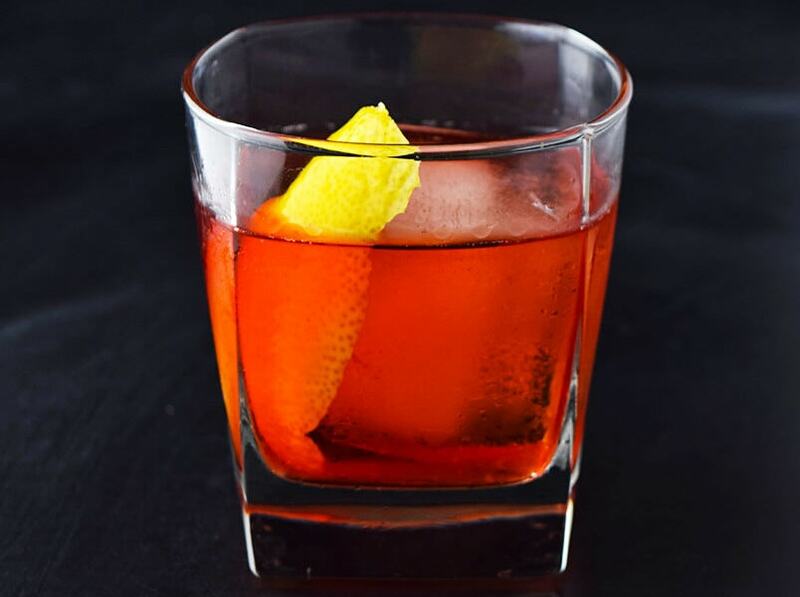 As the self-proclaimed Manhattan man, here are a few quick tips on how to make the “perfect” Manhattan. ALWAYS stir with ice, never shake. Whiskey cocktails should always be stirred, otherwise you’ll introduce unwanted oxygen into the drink. The ice will add just enough water to take the burn off without diluting your cocktail. Pick up some good vermouth. 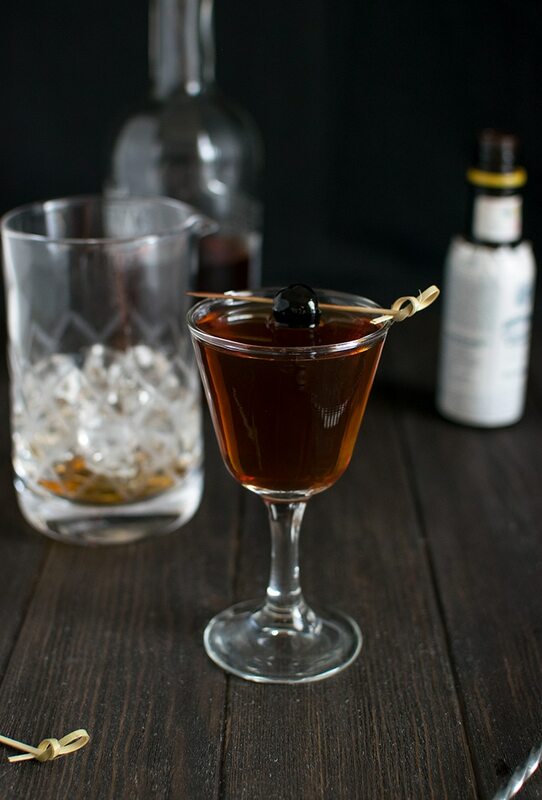 There’s no point in wasting nice whiskey with crumby vermouth. I like Dolin or Punt E Mes. Experiment with different types of bitters and garnishes. Angostura bitters and a cherry garnish is the most traditional approach, but I like to switch it up with cherry bitters, orange bitters, Peychaud’s bitters and an orange peel garnish. I like the subtle twists that add different aromas and flavors. Simple right? It amazes me how simple wins every time. P.S. Shoutout to my wonderful Nana for giving me her vintage cocktail glasses. They must be twice as old as I am but I swear they will never go out of style. Putting them to some serious good use. 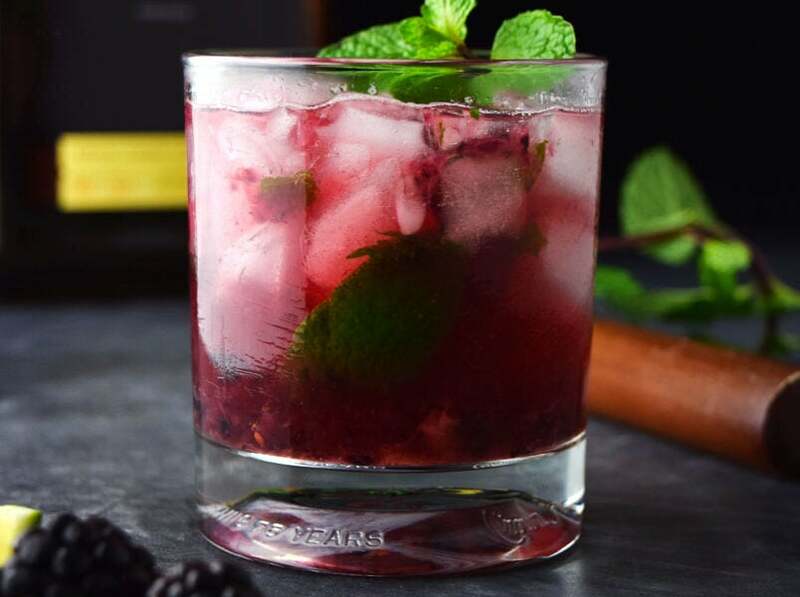 Combine the first 3 ingredients in a cocktail shaker or glass with ice. Stir vigorously and strain into a chilled martini glass. Garnish with a cherry and serve immediately. 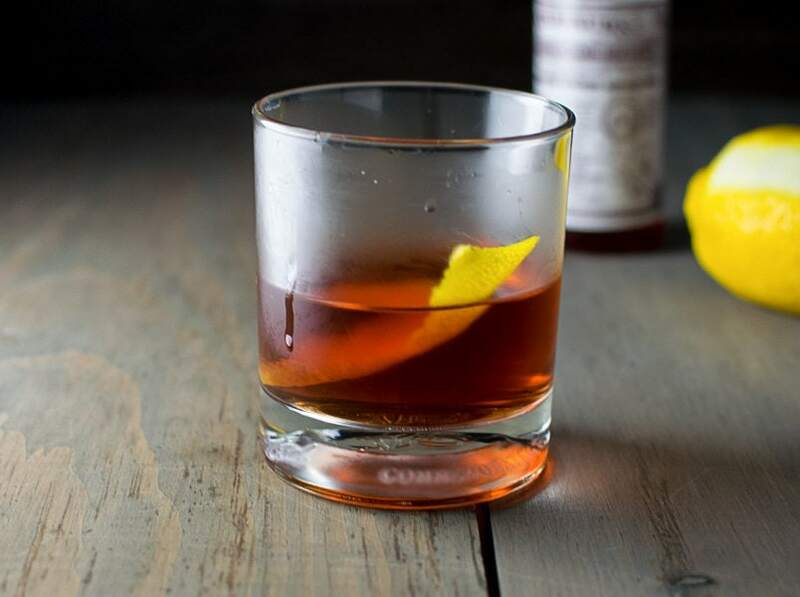 Try substituting Stonebreaker American-Irish whiskey (or other Irish whiskey ) for the rye/bourbon for a smoother “Nine Points Manhattan”, an homage to the Irish working class neighborhood in Manhattan in the mid 1800s – think Gangs of New York.